In 1997 I posted a short essay on my invitation to Paul Rand to speak at the Media Lab in 1996. The story starts off with an old, special book that had gone out of publication by that year: Thoughts on Design by Paul Rand. As a graduate student at MIT, I stumbled upon a thin, nondescript book called Thoughts on Design by Paul Rand. At the time I was building a reputation for myself as being a gifted graphical user interface designer. However, as I flipped through Rand's book I was humbled by the power with which he manipulated space and at the same time struck by the clarity of his accompanying prose. I was immediately inspired to pursue the field of graphic design, not necessarily pertaining to the computer. It is ironic that eight years later, I would return to MIT as a professor of design, and that I would host a lecture by Paul Rand at MIT, which I did on November 14 of that year. The time for the lecture was set at 10am. For those familiar with how an American university works, an early lecture is very rare because students usually study late into the night and are less apt to attend events in the morning. But Rand insisted that he speak in the morning. "If someone isn't willing to wake up to hear me to speak,” he said, “then I don't want to speak to them!" The auditorium was packed beyond capacity with people from all over New England, some waking up as early as 5am to arrive in time for the lecture. The Director of the Media Lab, Professor Nicholas Negroponte, later remarked that during his entire career at MIT he’d never seen such an overwhelming audience gather for a morning lecture. Although conditions in the lecture hall were crowded, there was complete silence during the lecture as everyone's attention was completely focused on Rand. Paul Rand: "I've waited 82 years to come to this place. I knew Gyorgy Kepes and Muriel Cooper, but they never invited me. I'm wondering why Mr. Maeda invited me at this late date, but I'll do my best". PR: "Design is the method of putting form and content together. Design, just as art, has multiple definitions: there is no single definition. Design can be art. Design can be aesthetics. Design is so simple, that's why it is so complicated." JM: "What is the difference between a designer and an artist?" PR: "There is no difference between a designer and an artist. They both work with form and content. I try to create art, whether I make it or not is not up to me—it's up to God." JM: "What is the difference between 'good' design and 'bad' design?" PR: "A bad design is irrelevant. It is superficial, pretentious, ... basically like all the stuff you see out there today." JM: "Most of your designs have lasted for several decades, what would you say is your secret?" PR: "Keeping it simple. Being honest, I mean, completely objective about your work. Working very hard at it." JM: "How did you get started as a designer?" PR: (raising his eyebrows) "I think you should ask, how did I get started as a baby?" Rand's lecture drew much laughter from the audience. He told many stories about his different logo presentations. One that particularly stuck out was the story about the NeXT computer wordmark. Rand spoke about how, as Steve Jobs turned each page of the presentation booklet, Jobs' smile seemed to grow bigger and bigger until finally he reached the last page and asked, "Can I hug you?" "Sure," replied Rand. To the audience, he added: "You know you've made a good logo when your client wants to hug you." He then shared a story about work for another client where there was a similar eager acceptance of his presentation booklet, at which time the client (a female) asked Rand, "Can I kiss you?" And Rand again replied: "Sure," He then added,: "Be sure to tell your clients stories of what previous clients have done (in reference to the Jobs story). That way they try to one-up the last client." After the lecture, Rand offered to autograph copies of his books, which he did for more then an hour. People would heap piles of six books apiece and ask for his autograph and he diligently would sign all of them. I tried to pull him away as I had to shuttle him to a private reception but he refused to leave until all the people in line were served. His lecture was so well received at MIT, that Negroponte suggested that Rand join the faculty at the Media Laboratory, and we immediately began the process of appointing him to the faculty. Negroponte wanted me to verify Rand's interest in joining the Lab, after which I faxed Rand explaining the situation. He replied, "Of course I accept the position" with "of course" underlined. A few days later he passed away. As I look back now, I realize that this happened exactly twenty years ago. In the meantime, I've often wondered what life would be like for me if Rand hadn't passed away the very same year I joined the faculty at MIT. I might have felt, quite frankly, a little less lost in 1997, and I might have had a chance to learn a lot more about design as Rand practiced it so beautifully and brilliantly. What I do know for certain, is that I would never have gotten started on my overall journey if it weren't for Thoughts on Design. It reminds us of a time when data on design’s performance couldn't be gathered in real time, back when the intuition of the designer reigned supreme. As a classic, it's important to frame Thoughts on Design within the context of its initial publication. At that time, multinational corporations were gaining momentum in the world and logos were still scarce, printing techniques were primarily limited to one and two colors, and graphic designers—often called "commercial artists"—were often made to feel a bit insecure. The biggest subtext to note about Paul Rand's era was the largely male-dominated nature of the design profession. Today, of course, we live in a much different world. But Rand’s wit remains timeless, his love for visual play is unparalleled, and his curiosity as a thinker/doer/maker remains an inspiration for us all. The legend of Paul Rand continues, if we let it. I will continue to will it so, and I hope that you do so, too. 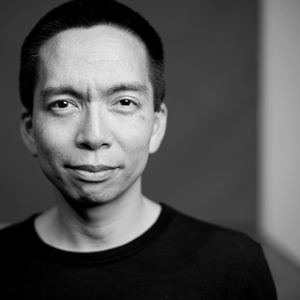 John Maeda: Global Head, Computational Design and Inclusion at Automattic. Former partner, Kleiner Perkins Caufield & Byers. Former president of Rhode Island School of Design and Professor at MIT. Author of The Laws of Simplicity, Creative Code, and Redesigning Leadership.